In 2000, he purchased his first turntables and began Djing. 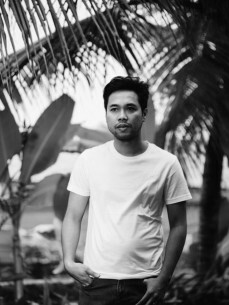 Two years later he began his radio show that’s specialized in electronic music at Radio Plus Bali and started throwing regular house parties at local bars and clubs and also underground rave parties. and mixing live in entirely digital platform using Ableton Live software. Mamsa believes that his music style is somewhat unique and hopes that at the end of the night you will have found some slightly less obvious grooves in his music.